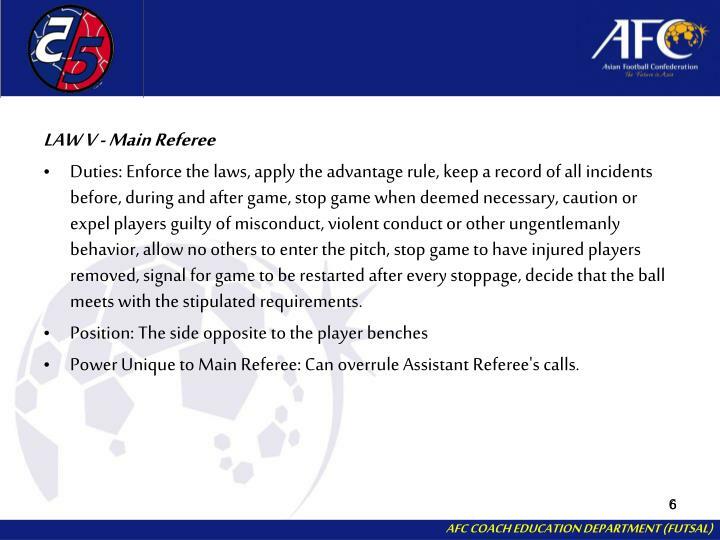 Power Unique to Main Referee: Can overrule Assistant Referee's calls. 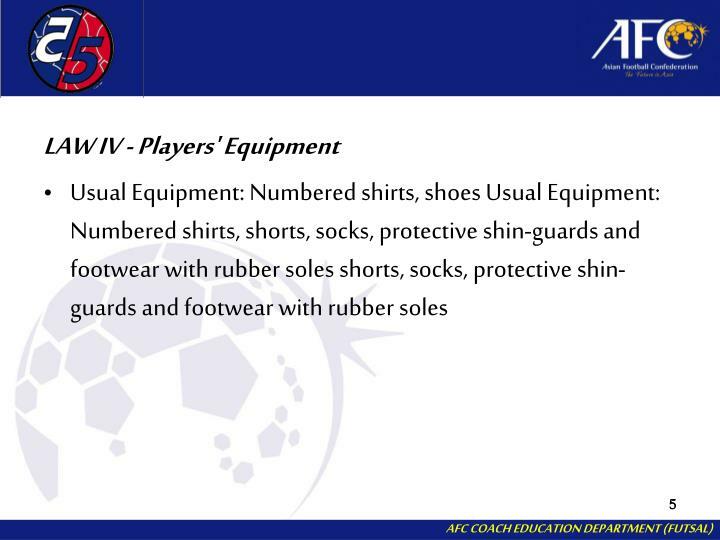 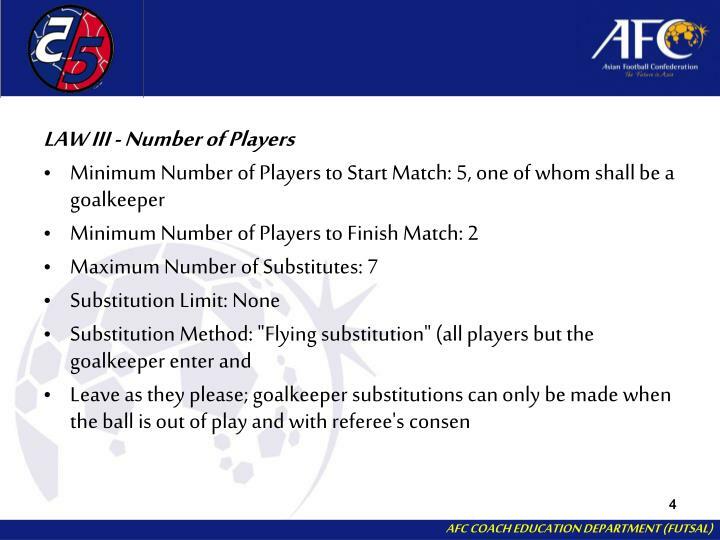 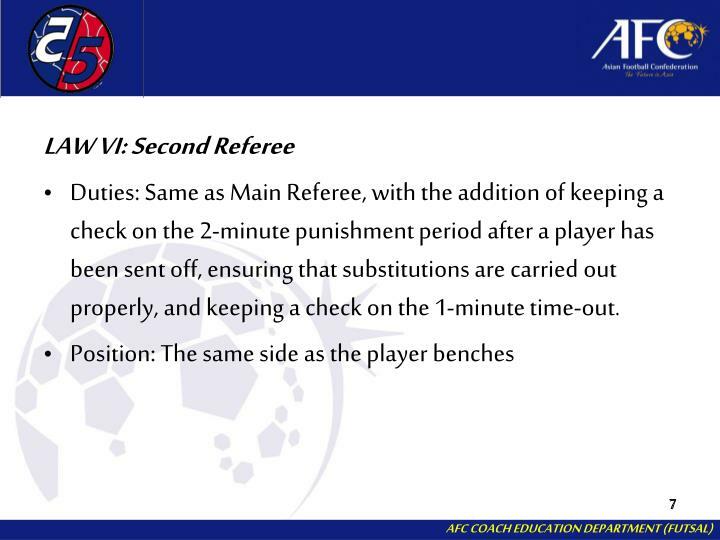 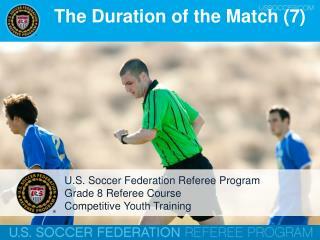 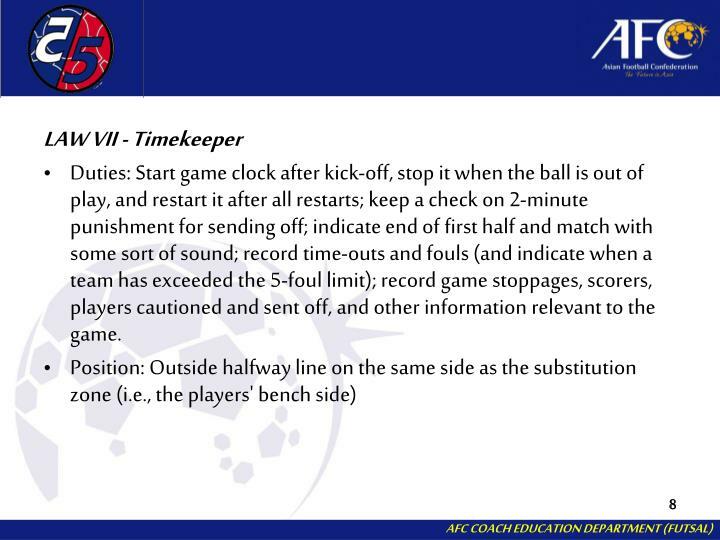 Duties: Same as Main Referee, with the addition of keeping a check on the 2-minute punishment period after a player has been sent off, ensuring that substitutions are carried out properly, and keeping a check on the 1-minute time-out. 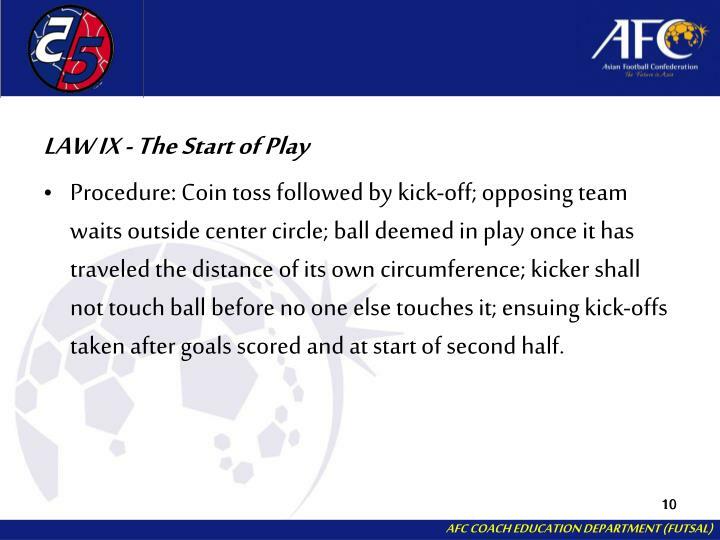 Procedure: Coin toss followed by kick-off; opposing team waits outside center circle; ball deemed in play once it has traveled the distance of its own circumference; kicker shall not touch ball before no one else touches it; ensuing kick-offs taken after goals scored and at start of second half. 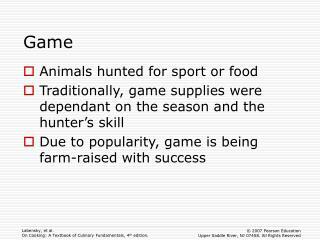 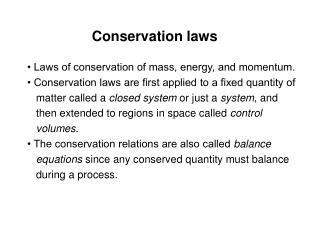 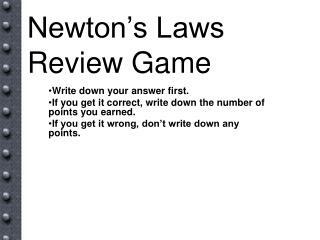 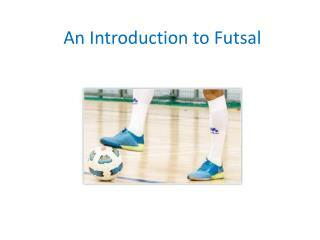 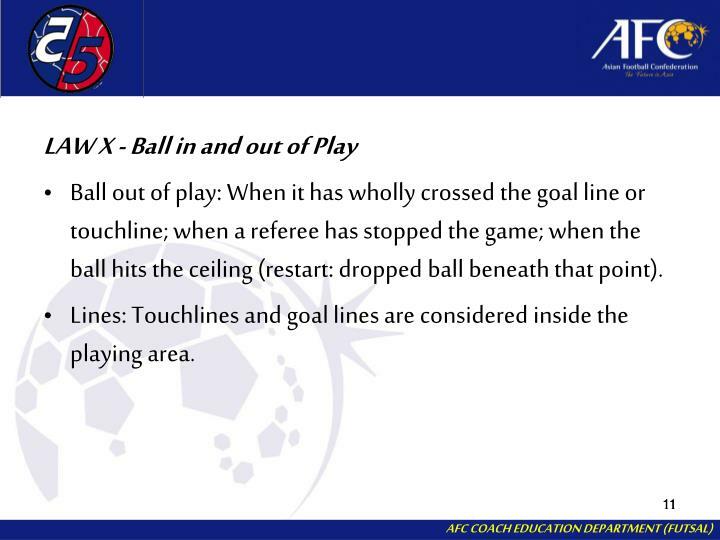 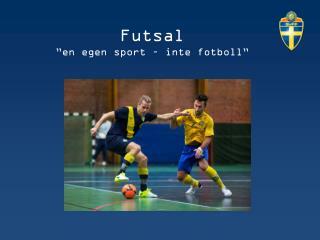 Ball out of play: When it has wholly crossed the goal line or touchline; when a referee has stopped the game; when the ball hits the ceiling (restart: dropped ball beneath that point). 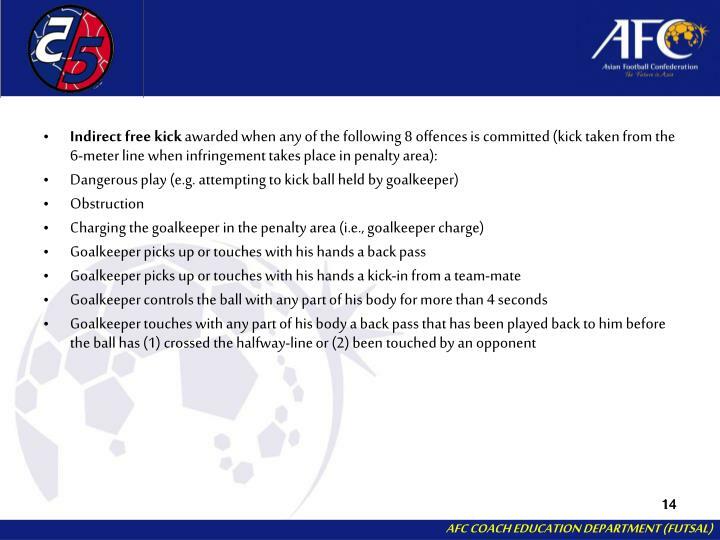 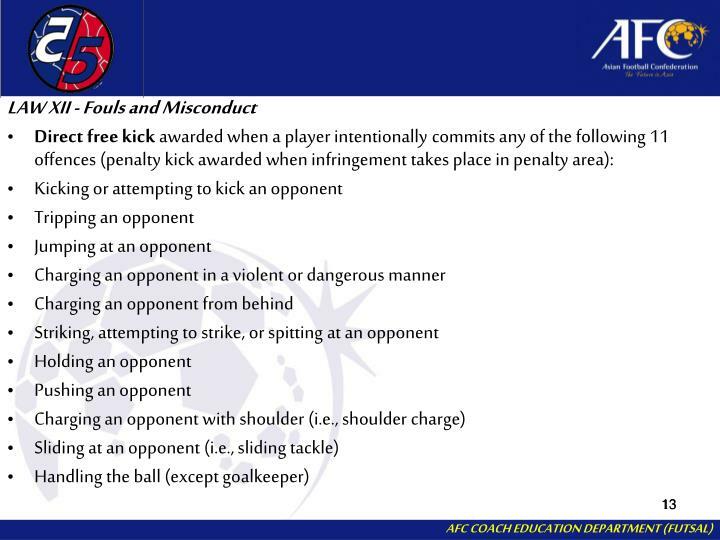 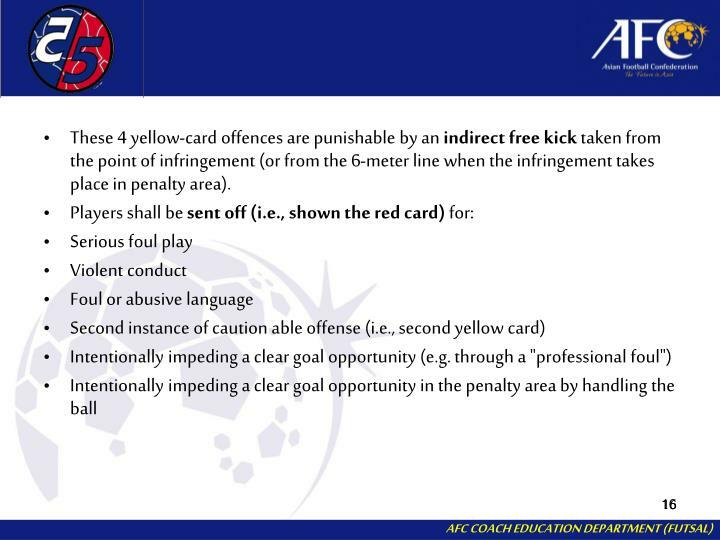 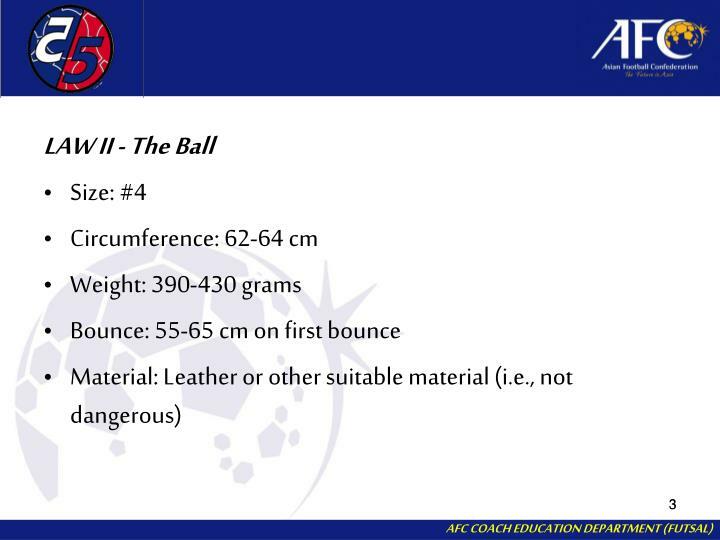 These 4 yellow-card offences are punishable by an indirect free kick taken from the point of infringement (or from the 6-meter line when the infringement takes place in penalty area). 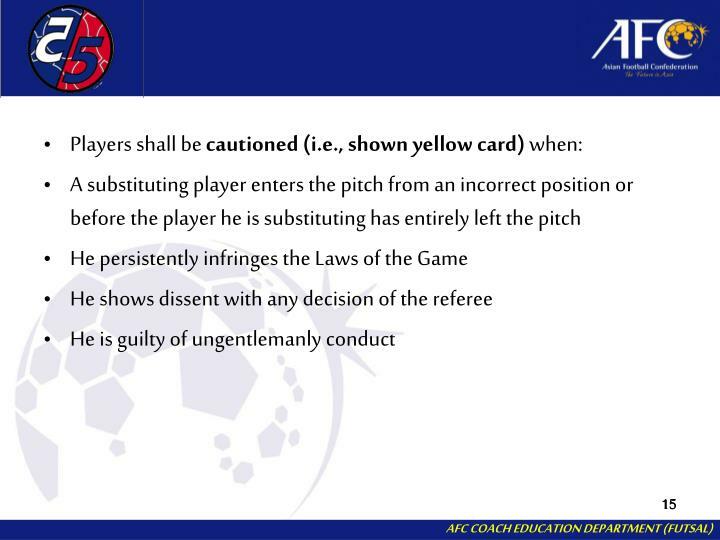 The player sent off is out for the rest of the game and is not even permitted to sit on the reserves' bench. 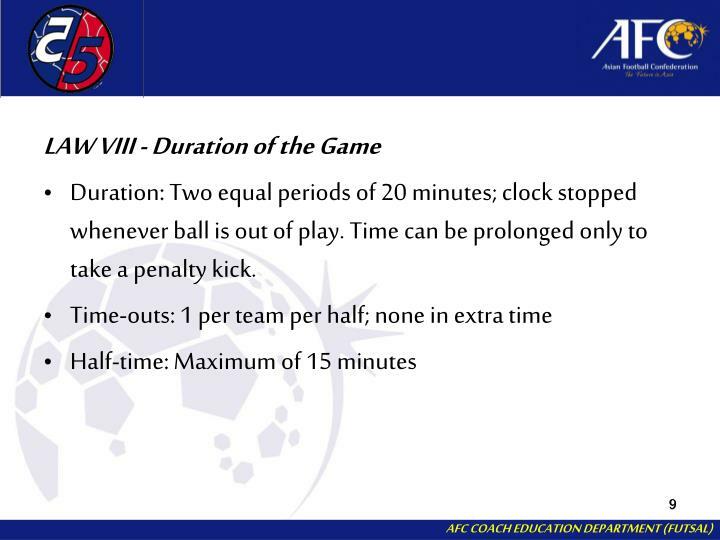 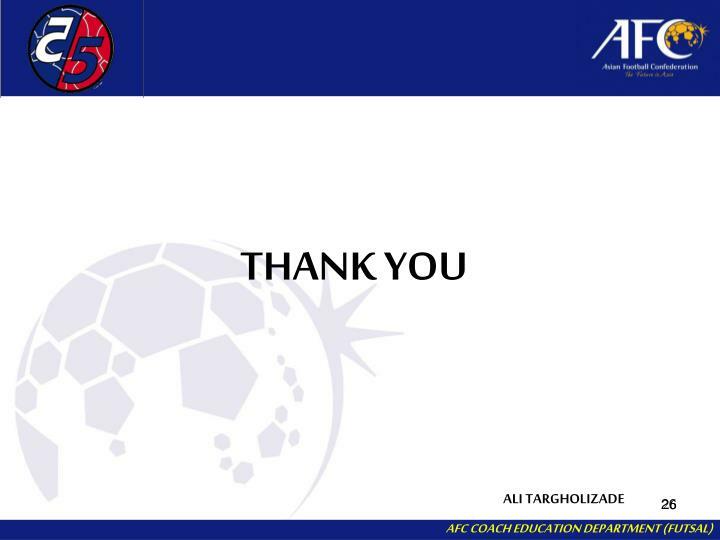 The team of the player sent off can substitute for that player after 2 minutes of playing time or after the opposing team scores -- which ever comes first. 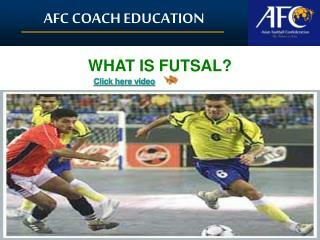 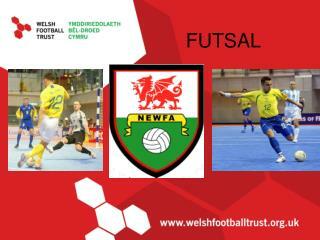 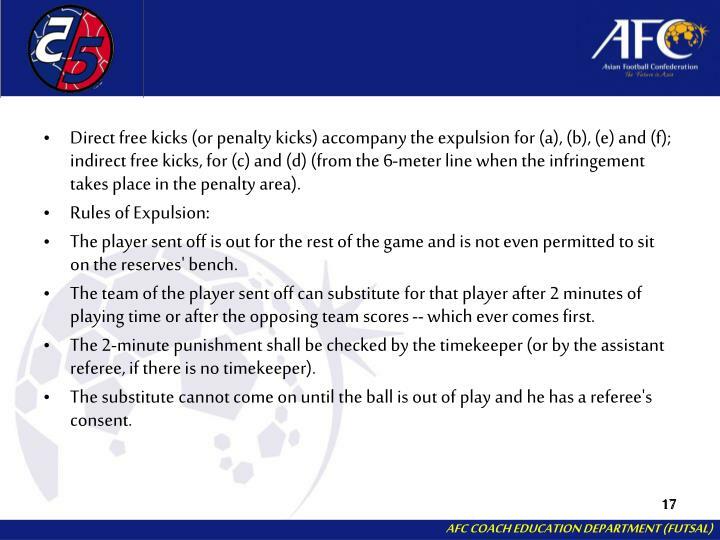 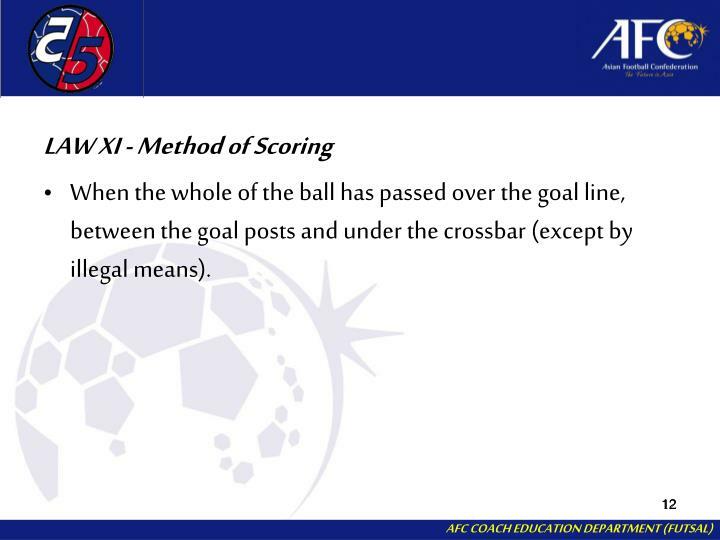 The substitute cannot come on until the ball is out of play and he has a referee's consent. 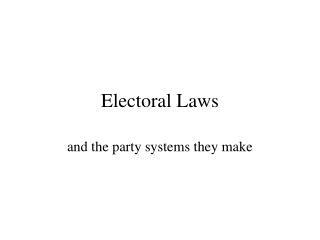 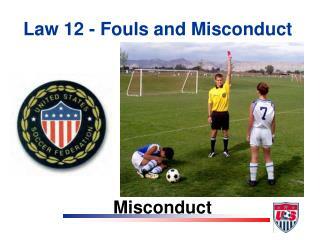 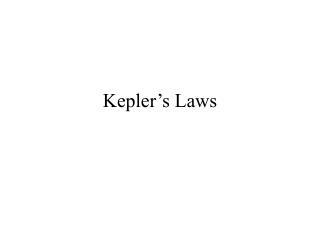 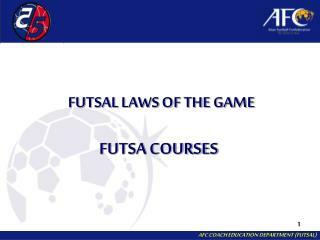 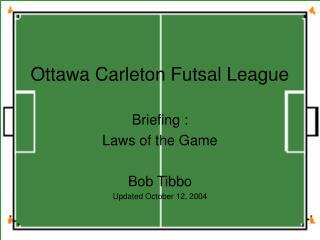 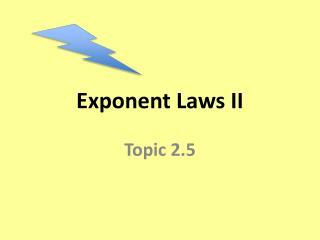 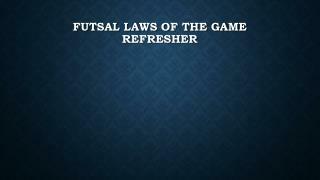 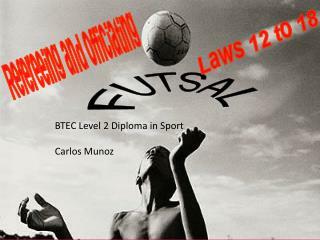 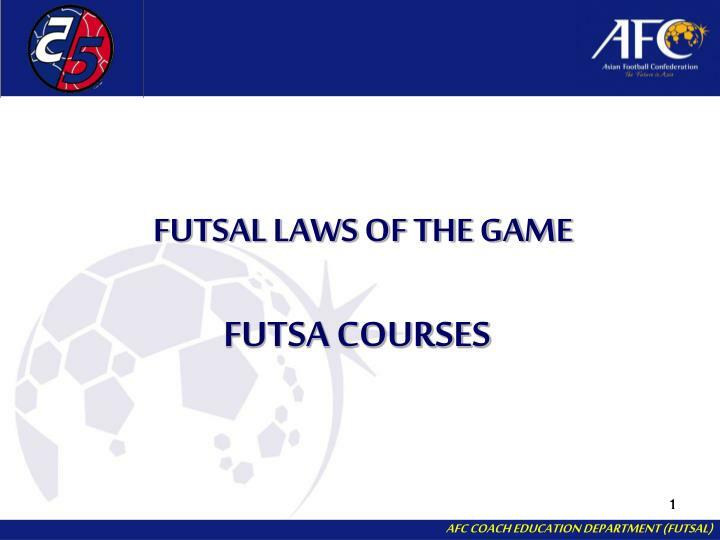 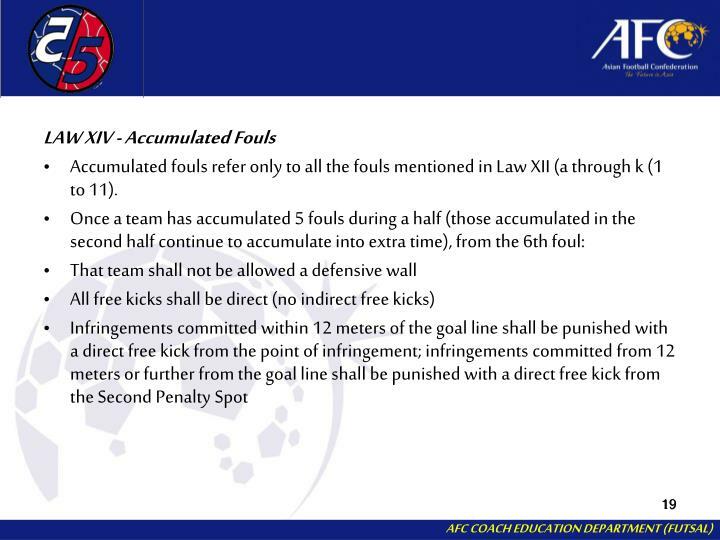 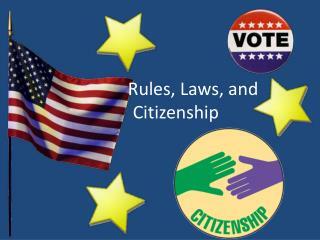 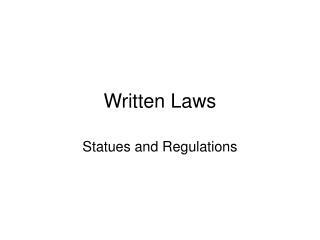 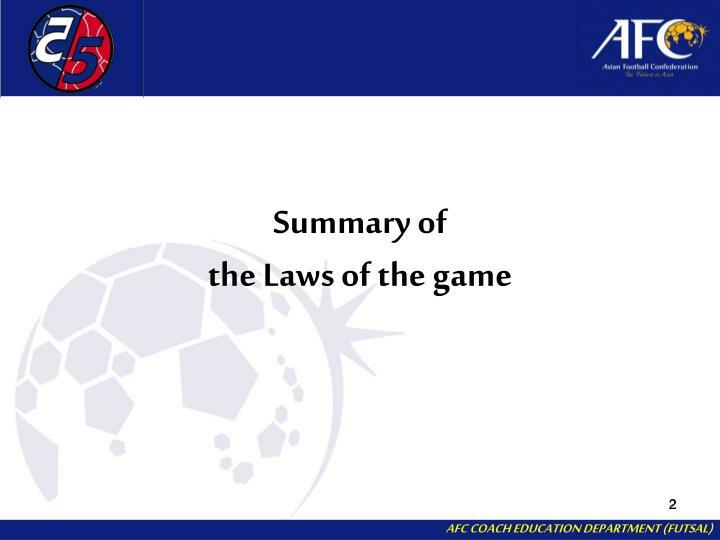 Accumulated fouls refer only to all the fouls mentioned in Law XII (a through k (1 to 11). 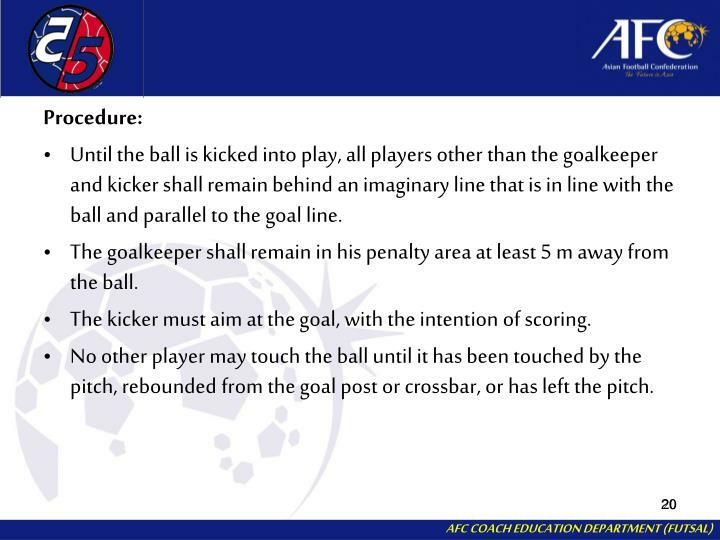 The kicker shall not play the ball a second time until another player has touched it. 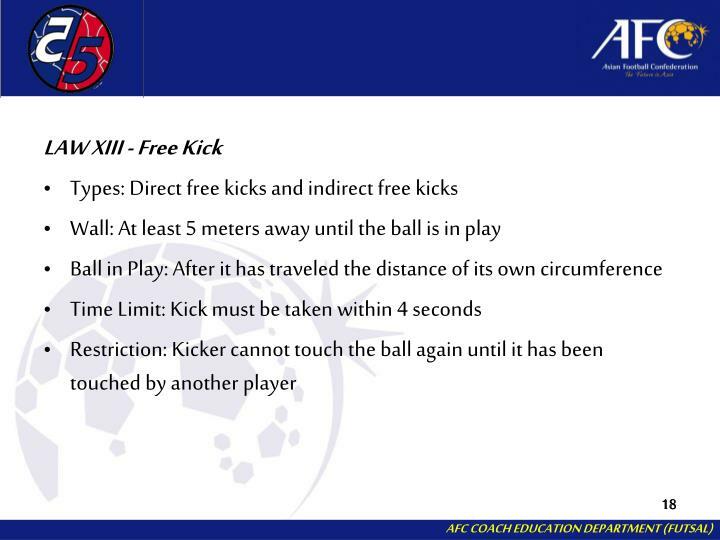 The ball is placed on the touchline before kicking. 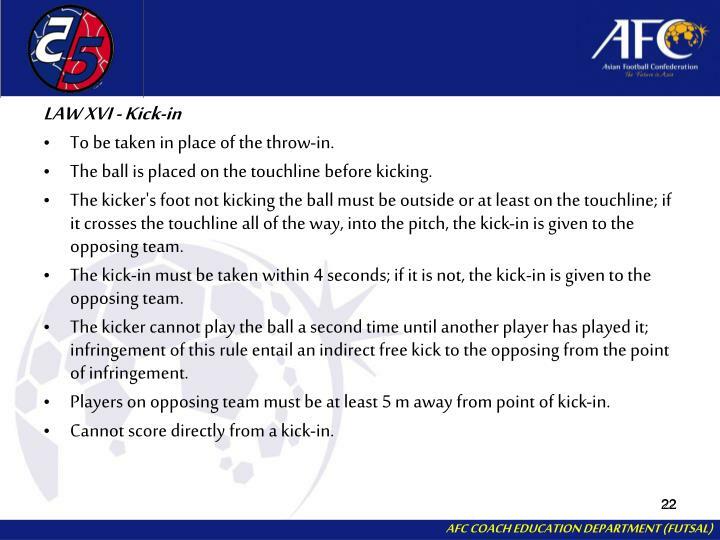 The kicker's foot not kicking the ball must be outside or at least on the touchline; if it crosses the touchline all of the way, into the pitch, the kick-in is given to the opposing team. 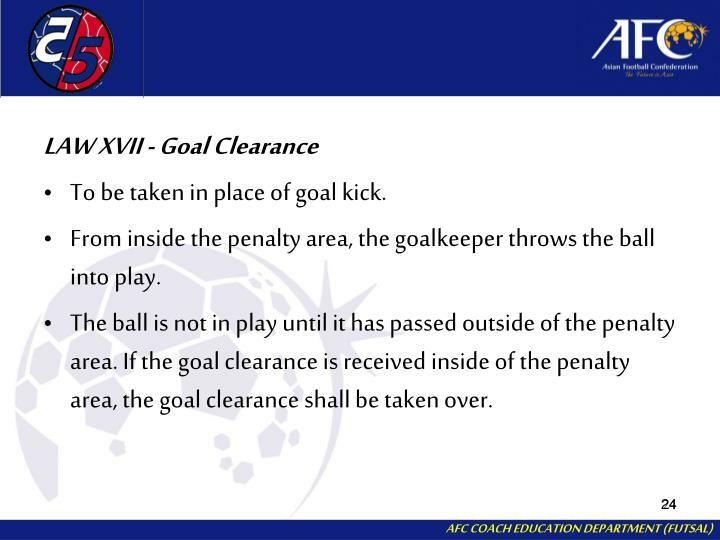 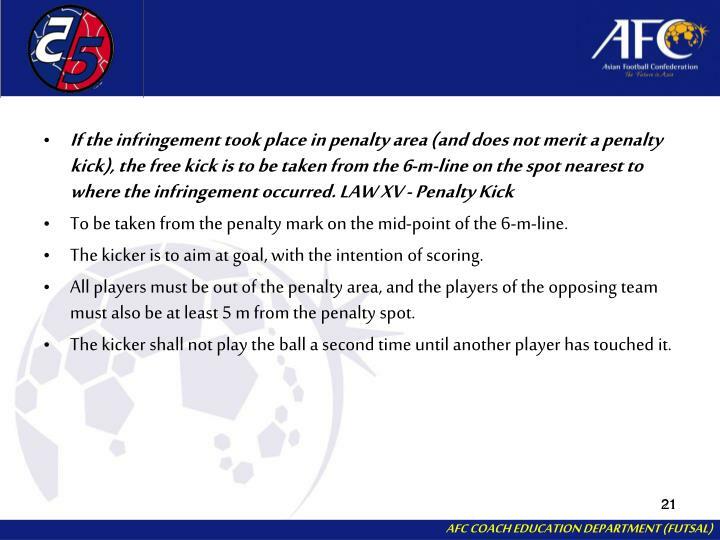 The kicker cannot play the ball a second time until another player has played it; infringement of this rule entail an indirect free kick to the opposing from the point of infringement.